No soldering, no jumper wires, no jitters. Simple, easy, and fast. This is how this kit gonna make you feel when you use it to make your IoT devices - a totally enjoyable making process. The Grove Base Shield in the kit can works on a lot of Arduino compatible development boards including the Intel Edison for Arduino, LinkIt One, and Genuino 101 etc. 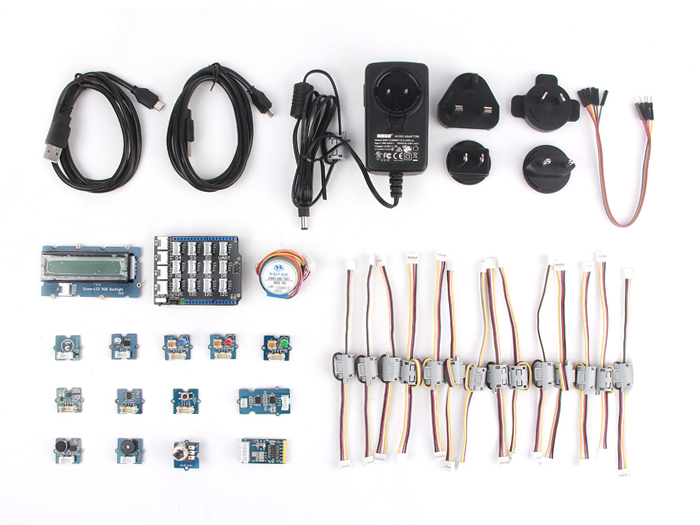 Beyond the Grove Shield is a bunch of Grove sensors and actuators with build-in Grove interfaces, makes your prototyping faster and easier. Simply plug in the modules and you are ready to create.